Pink Paws, Candy Claws, Feline Good Green, Purfect Purple, and the classic tan leopard print, Cool Cat. These socks are the puuurfect gifts for the knitting enthusiast and fashion sock lover. 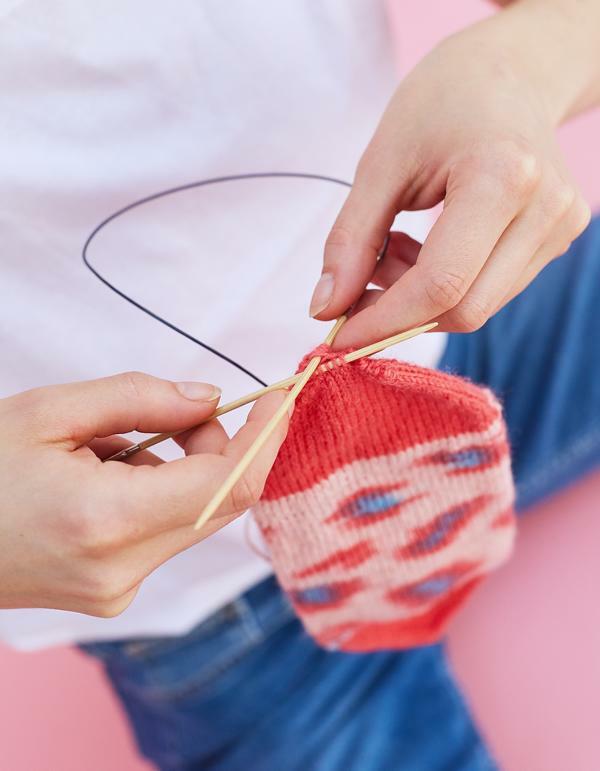 Each one needs to be knitted with a rib and stocking stitch, so they’re more of an advanced difficulty level - ideal for those looking for a challenging sock project over the holidays! What makes these little kittens so special is that the pattern is all contained in just one magic ball of yarn, which rolls out to the perfect leopard print socks - the perfect way to step into 2018! • Once the knitter has figured out the correct tension, she can show off her socks knitting know-how by concentrating on becoming the ultimate knitting master. 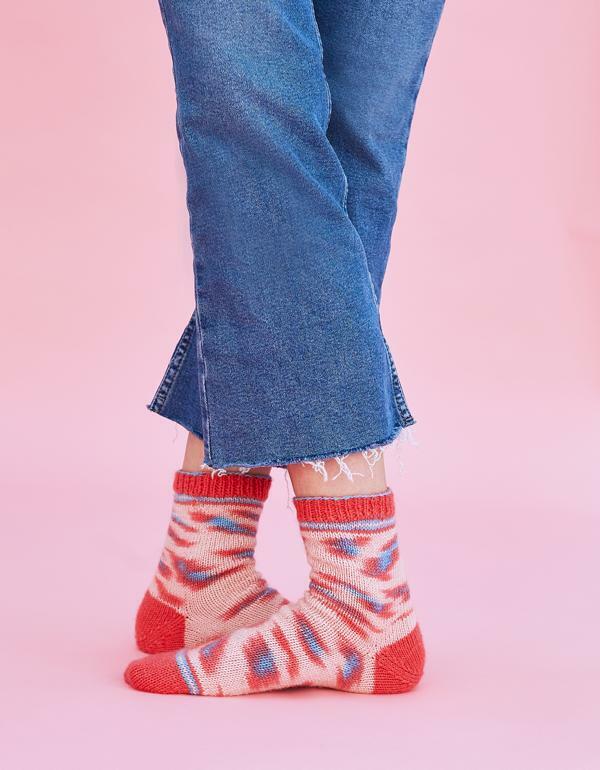 • As a knitter new to socks knitting, you might want to get used to socks knitting techniques with one of our REGIA effects, where tension is not so important to receive the desired design. • This design only works with a cast on of 60 stitches. • The 80g ball is for socks in sizes 36 to 41. KINDA MAGIC is one tough cookie. Her self-patterning nature means she works her magic as she goes. You can concentrate on becoming the ultimate knitting master and she will do the rest. Make something unique to you!